I know you bums will have other plans on New Years Day, but I'm totally open for Saturday, January 3rd or the 10th, and possibly the 17th. There will be cake! What day works out best for you guys? Which games? I'm totally down with Dungeon Defenders. Bob, I think you're looking at a bad calendar. 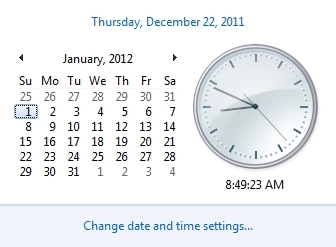 The Saturdays of January are 7, 14, 21, and 28. I can do the 7th and following. I can't do New Years Day though. Okay, I'm unavailable on the 14th. How does the 7th sound? I can put in for the 7th tonight if other people are good with it. Put me down for a maybe on the 7th. I really won't know until a couple days before. I just put in for the 7th for my work schedule so that shouldn't be a problem. So...what games do we want to hit up? Alright, guys! Tomorrow is the big day! Are you guys ready to rock? Not only am I ready to rock...I am also ready to roll. Bob, do you need us to bring anything? Tables, drinks, food, snacks, etc.? If you've got a table, it would be beneficial. Otherwise, I think we've got everything covered. Any drink/snack requests? You guys enjoy the LAN and someone eat some chicken nuggets in honor of my fatness. How many Chicken McNuggets do you think they'll sell us at the drive-thru?